You know that feeling at the end of a long day, when you’re finally able to lay down on your bed? There’s nothing like it. Your bed is your sanctuary, your personal escape vehicle away from the day and into dreamland. 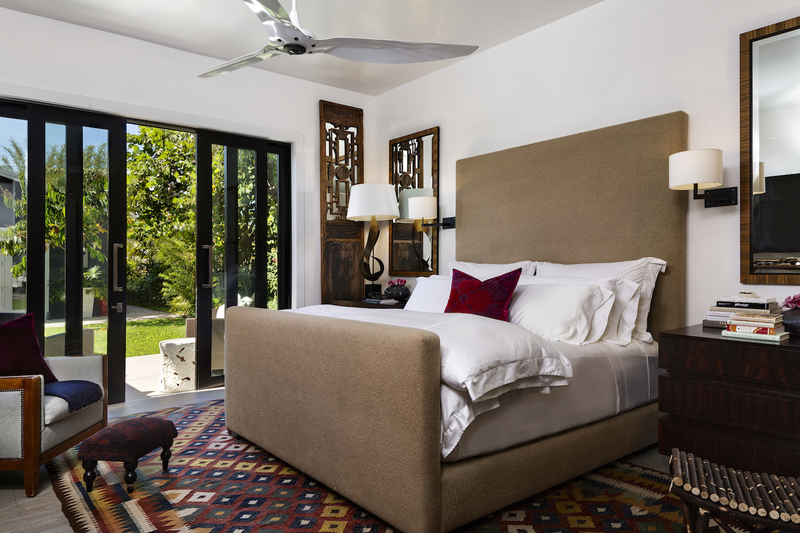 Good bedroom design is essential in creating your perfect room. And the bed takes center stage. We watch old movies, chat on the phone, write our blogs – yes, you caught me! Many a book has been read while reclining in bed. Sometimes a bed is shared with a loved one, a pet or an entire family. People have dreamed great thoughts, solved nagging problems and recuperated from the nest of their beds. All over the world, the bed is important. Babies sleep peacefully and teenagers sleep forever in the bed. People are born and die in their beds –entire lives revolve around a place to sleep that is safe and comfortable. And while there are many styles of beds and bedding, from loads of lacy pillows to tailored monogram sheets, we at JLD have a signature way of making the perfect bed. For finishing touch, add 2-3 decorative pillows in front of shams, depending on size of bed. Now there are variations on this depending on personal preferences or if your dog approves. So whether your style is formal, relaxed, shabby-chic or urban cool, make your perfect bed!